0 days, 5 hours until event! Don't miss out on the event of the year!! THE MACARONI & CHEESE FESTIVAL IS COMING BACK TO BAKERSFIELD FOR ITS 6th YEAR! 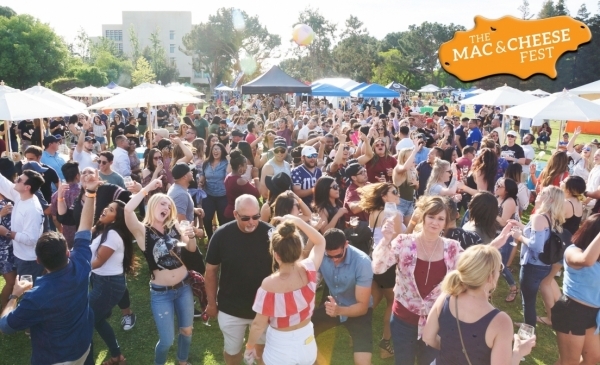 CSUB is proud to host the 6th Annual Macaroni & Cheese Festival on Saturday, April 20, 2019. Join us for live music, gourmet Mac & Cheese, beer and wine! This year's entertainment - Truxton Mile! It has been 5 years since they played at the first Mac and Cheese Fest and we can't wait for them to be back!